Right then. With a massive thanks to Karen D and co we have an amazing set of raffle prizes!! including a 1st Prize of a 3 night off-peak stay in a yurt on an organic farm for up to 5 people at The Yurt Farm, Crynfryn, Penuwch, Tregaron, Ceredigion, Wales SY25 6RE (www.theyurtfarm.co.uk) and a 2nd prize of 2 weekend tickets to the Sunrise festival near Bath May 30th – June 2nd and prizes from River Cottage, the Relaxation Centre, the Community Farm, LornaLou Ltd, Cafe Maitreya, the Better Food Company, Harvest, the Watershed Cinema, the Tobacco Factory, Lush, Grape and Grind, Beast, Pearce’s hardware, Horfield Leisure Centre, Fizz Haircuts, Bliss, Vets4Pets, A E Huggins , Shake Wrap and Roll , Beast and others. Check out the full list below . Tickets are £1 each and can be purchased either on the day or in advance directly from Paul on 0117 942 8003 or on Wednesdays 10-4 from the Garden OR Saturday the 4th 10-2 or keep you eyes peeled at the Picton St Market 4th May. 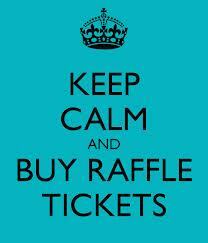 The prize draw will be held at 3:15pm on Saturday May 11th at our Spring Fair. And if you are interested in helping us to build the cob Roundhouse as a community activity, get in touch! This entry was posted in News from the Garden on April 25, 2013 by GHCG. We have also just received a couple of additional prizes of tea for 2 at La Ruca and some tea and tea-making equipment from Mystir.